Katrina is busy shooting for her upcoming film, Bharat. Actress Katrina Kaif is busy with the work of her upcoming film Bharat. However, she always manages to take out time from her busy schedule for some fun. Recently, she posted her video from the sets showcasing her batting skills. 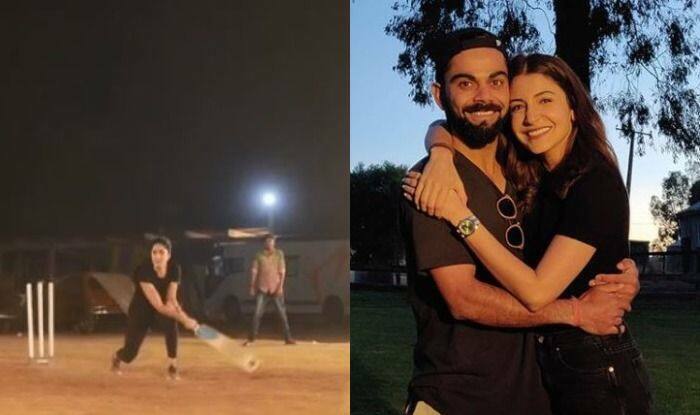 In it, the lady can be seen playing cricket like a boss with the crew members ahead of the World Cup. Not only this, Katrina also requested Anushka Sharma to put in a word for her with husband Virat Kohli. The video is making us believe that her time has come as she wrote Apna Time Aayega in the end. It seems like Ranveer Singh’s Gully Boy fever has taken over her. Well, she is indeed a woman of many hidden talents. Katrina shares a great bond with Anushka. In fact, both of them were seen together sharing the screen space in Shah Rukh Khan starrer Zero. The film couldn’t do wonders at the box office. A couple of days back, Salman was also seen playing cricket on the sets and looks like Katrina is giving him tough competition. On a related note, Bharat also features Sunil Grover and Disha Patani in crucial roles. The movie is scheduled for Eid 2019 release. Earlier, Priyanka Chopra was signed for the female lead. However, she walked out owing to her engagement with Nick Jonas after which Katrina came on board. The latter was also seen in Thugs of Hindostan.